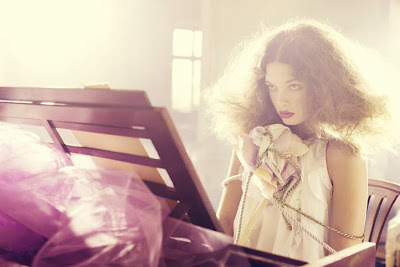 I love the lighting in this editorial by Waldemar & Max. Exquisite, ethereal, imaginative. Funnily enough, I often comment about the lighting in photos on peoples blogs- but you've beat me too it! What I do like about this is the way that the style of photography and lighting makes it seem so dreamlike. I love this sort of effect , elegantly pretty ! ps/I think all your posts are very inspiring. I always look foreward to reading them. The lighting on these are beautiful. Look at how dreamy and ethereal they look! Ahhh I want to go take photos now.